The Ituri conflict in the northeast corner of the Democratic Republic of Congo provides an interesting example of how the environment can be both the impetus for conflict and a tool to sustain it. Long standing ethnic disputes over land rights between the Hema and the Lendu has evolved into a multi-party, multi-nation conflict over the control of the area's vast natural resources. Natural resources have been used by many of the groups as a tool of trade, specifically in exchange for arms. International corporations have also indirectly contributed to the conflict through the purchase of illegally mined minerals, predominately gold. The conflict is likely to continue until the government can take full control of production and trade in this area. The current conflict in the Ituri region stems from a long-standing conflict between two ethnic groups, the Hema and the Lendu, over land and grazing rights. Relations between the two groups, however, were not always so strained. In the earliest interactions between the groups, the Lendu looked to the Hema as a source of authority, who helped moderate the conflicts between the various Lendu groups (Pottier, 2003). In this way, the Hema chiefs gained political control in the region, which allowed them to dominate economically. The Hema soon became known as the businessmen of the region and were particularly successful in raising cattle, while the Lendu were relegated to the role of farmers (6).It is here that source of potential conflict was planted- both Hema and the Lendu were relying on land holdings for their economic well-being, the Hema for grazing their cattle and the Lendu for farming. Pre-colonialism, the two groups managed to co-exist peacefully, since the Hema granted the Lendu sufficient land for their needs. This relationship changed, however, with the advent of the Belgian colonial power in the region. Under the Belgian colonial authority, the authority and the power of the Hema only grew. The Belgians looked to the Hema as their allies in the region, since the Hema dominated the Lendu both politically and economically. This favoritism caused discrepancies of wealth and opportunity that favored the Hema at the expense of the Lendu. The situation only worsened after independence, when the Belgians gave large tracks of land to the Hema as a result of their relationship (IRIN, 12/18/02). The issue of land was only exacerbated after the passage of a 1973 land use law that made it legal for individuals to buy property that others were already living on. The law was seen by the Lendu as a means for the Hema people, who were already financially better off, to usurp their territory in an attempt to expand their land holdings, which lead to the initial outbreak of violence in the region (IRIN, 11/15/99). Additional conflicts broke out in 1985 and 1996 (2).The current conflict, which began in 1999, is based partially on claims made by the Lendu that the Hema were attempting to expand their land holdings into Lendu territory using false documents created with the help of Hema officials, a charge that the Hema categorically deny (2). 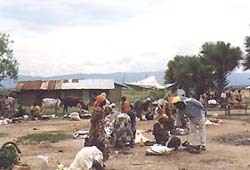 The conflict in Ituri may have remained a land-dispute, restricted to these two groups, if not for the vast natural resources present in the region. The region is rich in gold, diamonds, coltan, timber, and coffee, and export of these resources are a key source of revenue for the state (IRIN, 12/18/02). Thus, the conflict between the two groups, the Hema and the Lendu, has expanded to include other groups interested in controlling these resources. For example, Hema landowners, in their efforts to drive off the Lendu, have called upon members of the Ugandan army to protect their land, especially land with commercial value (6). The Ugandan forces were willing to intervene because they saw the potential economic benefits that could be had through control of the region. Uganda formally entered in the conflict in 1998, when the Uganda People's Defense Force (UPDF), began occupying a portion of northern Uganda, including the Ituri region. Although Uganda defended their actions on the basis of security, it was clearly an attempt to gain control over the region's resources by supporting the Hema elite. Indeed, Uganda has used their control of the region to illegally export resources, especially gold, to international buyers, and then using the resources to support local Hema warlords who help their operation (HRW, 6/2/2005).In their efforts to control resources, both the Ugandan army and domestic Hema militant groups, have driven the Lendu off their land and destroyed their property (Pottier, 2003). Those individuals who are not run off their land are often forced to work in the majority Ugandan-controlled mines, often under threat of violence. In response to the actions of the Hema and Ugandan forces, the Lendu have formed their own militant groups to protect their land, leading to a violent multi-party war. The conflict in the Ituri region is largely the result of resource scarcity, both in terms of land and mineral wealth. The environmental damage in the Ituri region pales in comparison to the massive human rights violations. Environmental damage has occurred as a result of mass population displacement, which forces large numbers of people to gather in small geographic areas. This has led, in some cases, to the depletion of valuable crops and the destruction of farm land. 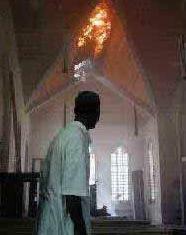 In addition, tactics of aggression such as the burning of villages, have caused damage to the land. Additionally, the conflict in the Ituri region, has contributed to the destruction of much of the ecological diversity found in the region. The Democratic Republic of Congo has become the center of what is known as the "bushmeat crisis." Bushmeat is the meat of wild animals and is a major resource for the Congolese people, both as a food source and a source of income (7). The harsh economic conditions caused by the Ituri conflict have led to increased dependence on bushmeat, which has led to the destruction of local animal populations. As a result, people have been forced to travel even further into the wilderness in search of meat, resulting in more destruction. The crisis is of particular concern, given the number of endangered species that are being hunted, including gorillas and chimpanzees (7). Destruction of forests caused by deliberate burning and population displacement, harming the local environment and destroying animal populations. Tropical. In the equatorial river basin it is hot and humid. The southern highlands are cool and dry while the eastern highlands are cooler and wetter. The wet and dry season varies depending on which side of the equator one is on- north of the equator the wet season is from April to October, south of the equator from November to March. 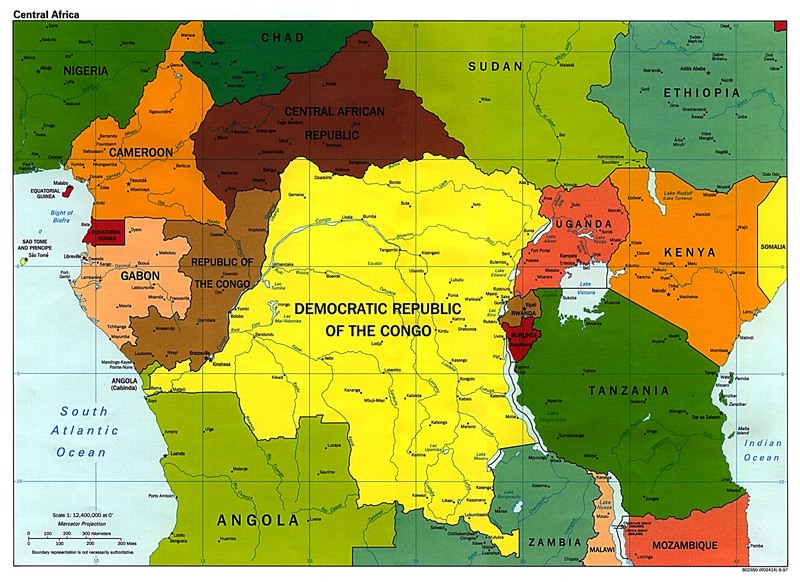 The situation in Ituri primarily concerns citizens of the Democratic Republic of the Congo and the natural resources found within its borders. The political implications, however, are regional in nature, with Uganda and Rwanda being major actors in the conflict. 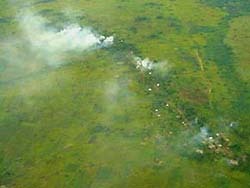 The conflict in the Ituri region is primarily civil in nature, stemming from a dispute between two ethnic groups. However, the conflict includes both Rwandan and Ugandan forces who have a military presence in Ituri, giving the dispute regional implications. The Hema-Lendu conflict started as a primarily civil conflict, however, over time it has involved into a regional, multi-national issue. Ugandan and Rwandan forces have become involved in what was originally a land dispute between two ethnic groups. Ugandan forces have supposedly intervened on the side on the Hemas in return for cash, but Ugandan officials deny these charges(2). In 1998, Uganda did, however, support rebel groups in their opposition to former DRC president Kabila, for what they called "legitimate security concerns."(4). On the Lendu side, reports suggest that members of Rwandan Hutu militant group, the Interahamwe, have become involved in the conflict (4). Spillover from the conflict in Rwanda is prevalent in the DRC, with Hutu and Tutsi identification being adopted by the Lendu and the Hema, respectively (3). In addition, Rwanda has been accused of looting the DRC in order to finance the Rwandan army (4). Both Uganda and Rwanda have been accused on using natural resources from the DRC to buy arms and finance military efforts (1). As early as October of 1999, UN estimates suggested that more than 100,000 people had been displaced, with the death toll estimated to be between 5,000 and 7,000 (2). The death toll has risen over the years, not only because of armed conflict, but also as a result of displacement, lack of food, the poor quality of available food, and disease. Outbreaks of cholera and measles are common(4). 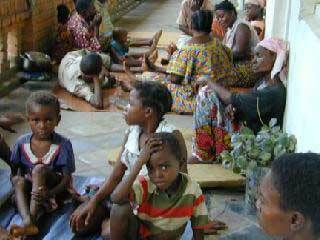 In 2002, humanitarian agency estimates put the number of people displaced at around 500,000 (4). The latest estimates put the number of deaths at 60,000, according to the UN (1). The fight over environmental resources both created, and has since sustained, the conflict. Profits from natural resources have been used to finance the conflict, particularly by contributing funds to the illegal arms trade that supplies weapons to militia groups. Furthermore, the conflict itself contributes to increased environmental destruction, which exacerbates the difficulties experienced by the population by making it more difficult to secure the necessary resources for survival. 1. Human Rights News. "D. R. Congo: Gold Fuels Massive Human Rights Atrocities." June 2, 2005. 2. IRIN. "DRC: IRIN Focus on the Hema-Lendu Conflict." November 15, 1999. 3. IRIN. "DRC: Ituri conflict linked to illegal exploitation of natural resources." September 3, 2004. 4. IRIN Web Special on Ituri in Eastern DRC. December 18, 2002. 6. Pottier, John. "Emergency in Ituri, DRC: Political Complexity, Land, and Other Challenges in Restoring Food Security." FAO International Workshop, Tivoli, 23-25 September 2003. 7. Fotabong, E.L. and Gartlan, S. 2001. "The Bushmeat Crisis: long term solutions- international, national, and local policies. In BCTF Collaborative Action Planning Meeting Proceedings. Edited by N.D. Bailey, H.E.Eves, A. Stefan, and J.T. Stein. Bushmeat Crisis Task Force. Silver Spring, MD.